To Open Source or Not to Open Source: What do You Need to Know? Working with clients, speaking at a conference or engaged in a variety of different conversations; I am always asked: Should we go open source, you know Drupal or Word Press or some other available solution? Isn’t that going to keep costs low? It is free right? I think I sometimes answer this question once a day or at least several times a week. My answer is: I sit on the middle of the fence. It really depends. The next question: What does it depend on? Always with one clarifier or another. My friend John says that is the way we should go. The consultant that was here said that is what we should do. Mary told me her personal blog runs on an open source platform and she really likes it. I hear it is really easy to work with. My next answer is: It depends who you are, what you are trying to achieve, what your requirements are and what resources you do or don’t have available to manage, maintain and grow the technology platform. All open-source or proprietary (purchased from a company) platforms require care, feeding, customization and oversight to ensure availability to you and your customers. What do you have now and help me understand the issues or problems you are having. My answer is always ambiguous because I don’t like to give cookie cutter answers. I always want to understand and learn more about the organization and what it is trying to achieve in business and in digital. Open source is not a solution for every organization nor will it meet every possible need an organization has or requires to accomplish its digital business. Is your goal to manage a small website? One that simply conveys information about what you represent? Is your goal to transition your print based subscription business to digital access? Is your goal to offer a variety of subscription options to your current and new members and subscribers? Is your goal to digitally amplify your content, create engagement and communities? As I hope you see the questions above can have simple or complex answers and aid in understand the decision path forward. The decision path starting with the question should I go open-source or not? Let me restate again: It all depends on who you are, your requirements and what you are trying to achieve. Each business, and subscription business are no different, have unique elements whether they be operational, methods and formats of publishing, customer demographics and preferences or business models. What follows isn’t intended to be an exhaustive discussion and list of pros and cons getting into all kinds of technical jargon. I offer some major items that you should consider. Lets start with the first big misconception. 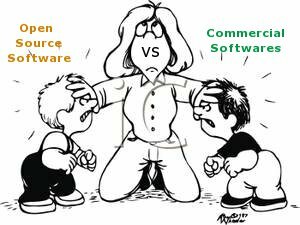 Many are drawn to open source because they hear the word “free”. There isn’t anything in this World that is truly “free” and “open-source” is no different. The platform, application, system or whatever term you have heard used to describe an open source solution you are considering is indeed “free”. Open-source solutions are developed by a community of developers wanting to offer more flexible, practical, or richer solutions than may be available on the market or where other solutions costs organizations large sums of money to purchase licenses and maintenance services. Why isn’t open-source then considered free? Well, if you affirmatively answered the first question above about needing a simple website, the platform is free. The remaining costs to you are your time to create or load content on the pages, add your logo, creating or finding images and graphics and paying for a hosting environment to ensure your new site is available. Your implementation and use of the open source platform is fairly basic. I would wager your subscription business isn’t that simple. Open-source solutions require customization. Like any other system, application or platform you are currently using you probably had to pay for customizations to achieve and realize your business requirements. Are you planning to take credit card or other forms of payment? Do you have multiple subscriber types with different content access levels? Do you manage anniversary-based renewals? Do you keep most of your content behind a “wall”? Do you have internal systems like a CRM or Subscription/Circulation Management System for customer management and fulfillment? There are many “widgets” and applications that can be integrated into open-source platforms to achieve the needed or desired functionality beyond simple webpages. Many basic “widgets” and applications are free. Many “widgets” and applications that offer richer functionality and features cost money. In addition to the purchase of the “widget” or application, you will need to secure development resources to integrate them into the platform. Most available widgets only manage one subscriber or management type. I would surmise you have multiple. You may have print and digital access, digital only, and non-subscribers who can sign up for open content. As a result, your options are limited and you may need to have custom functions and applications developed to match your business. As an Aside: You could change your business to match what is available. I would advise you that technology should never be the driver of your business and how it operates. It is an enabler that offers platforms to achieve your business. It isn’t your business. It is likely your internal systems run some “online” functions either via exchanging data or via digital-based front end within your website. As with a proprietary solution, you will need to customize your internal systems and the open source solution to talk with each other or at least cohabitate. This most often impacts subscriber management and what and which pages (content) are available to whom. As with any website, app or mobile experience, you will need different “page” types or templates to achieve your desired “online” experience. You can surely do these yourself but it is likely you don’t have the time. Therefore, you will need to pay for the page/template creation, new graphics and even new content. And lets not forget the hosting environment. Development and customization of the open-source platform to match your business type and intent. Integration with your internal systems. Data exchange between internal systems and the open-source platform. Development of pages, templates, graphics and content. 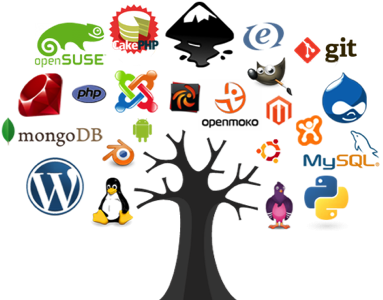 A hosting environment that can support the open-source platform. Another Aside: There are many instances where a company has focused on open-source solutions and built teams of developers to create billable services to clients like you. An example here is IBM who many years ago moved to align with Red Hat, an open-source server software. IBM identified many organizations were considering the same question you are now. If the organizations decided to move forward with the open-source solution, IBM would lose revenue given a decline in sales of their server software and related implementation services. They compromised. They decided to play in open-source and derive their revenue from selling development services to those organizations because no solution fits every need and an organization would and does need customization. As previously mentioned, a community of developers creates open-source solutions. The communities work continuously to update the solutions, adding new features and functions, fixing bugs and most importantly fixing security issues. Updates are available pretty frequently and as in the case of Word Press as an example, the “dashboard” alerts you to the available updates and versions. The solutions are always expanding. A good thing until you realize that you or your staff need to run the updates but before you do that you need to check to ensure all of your customizations will work with the update. The developer community most likely doesn’t know what you have done with the platform nor did they consider your customizations in the work they did to expand or fix the platform. As a result, someone in your organization or a contractor needs to monitor, test and maintain your platform. Another responsibility and another cost that further changes the concept of “free” and which are the same as if you bought a proprietary solution. Every day in the news you hear of another hacker who has gain access to customer data, compromised a system or took a system offline. Open-source solutions are subject to hacks like any other solution. The developer community works diligently to find and fix security holes as they are discovered. A good thing for your business. The downside is the developers don’t work for your business nor do they know you and how your business functions. You may not be able to wait a day, two days, a week or more for a security update nor may you have the appropriately skilled staff within your company to protect your platform and all of the data it contains. As with maintenance and updating, you will need support services to monitor and ensure the platform and its data are protected. Some organizations appreciate having “a throat to choke” if something goes wrong. So lets add additional costs in for maintenance and security to the overall “costs” of the open-source platform. At this point adding up the development, hosting, support and maintenance you need, you may be paying as much as you would for a proprietary solution. I would suggest creating a spreadsheet with two columns. One for your current or a proprietary solution you are considering and one for the open-source solution. In each column, record the estimated costs and then compare the bottom line. If the bottom line for the open-source solution is less than the proprietary solution and you have covered the major items discussed in this post, the remaining task is to list the functional pros and cons of each solution. You may find the outcomes to your assessment of the two are very similar. If you do, you are like most organizations that once thought “open-source” was “free” and found out that as with anything in this World there isn’t anything that is really “free”. As I mentioned when I started this post, I don’t like cookie cutter approaches and recommendations. I believe all organizations, particularly subscription based and publishing business have some very unique requirements and needs. All businesses should identify and consider their unique business requirements, functions and needs to determine whether open source or another platform solution is the right path to take. In the near future, Subscription Insider will be offering its members a criteria and framework to aid in decision-making. As you may know, I am the Leveraging Technology Insider Guide for the Subscription Insider. Please share any comments or questions you have. I want to hear from you! Blogging for Dollars – Is Your Content Optimized? The Mobile and App Debate: Where do you apply your strategic energy? 2040’s client AAOA wins Association Trends Gold Award for its new website AAOAllergy. Kevin Novak presented at the recent Niche Media CEO Summit on Transforming Your Digital Revenue Model. Read the Blog Posts on Digital Revenue Model options. Beth Bush is now offering her B2P Value Proposition Workshop to current and prospect clients. Contact her today! Kevin Novak provided a webinar via Subscription Insider. Read the Blog Posts or view the Webinar” How to Select the Right Subscription Tech“. Check Out 2040’s new organic search podcast series. Episodes 1 thru 8 of the 8 parts series is now available. 2040’s How to Build the Content Machine webinar available on BlueSky eLearn. Kevin Novak is the Moderator of the Marketing and Data Science Council for Collaborative Gain, an executive peer exchange forum. Consider joining the council. Kevin Novak, CEO of 2040 Digital is the Subscription Insider’s Leveraging Technology Insider Guide providing advice and content to subscription based businesses. Copyright 2019. 2040 Digital, LLC. All Rights Reserved.